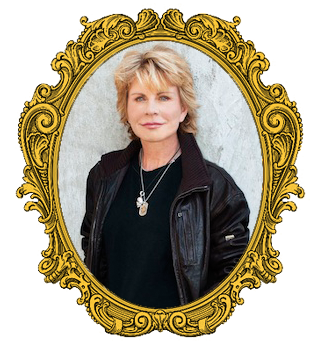 Patricia Cornwell has sold over 100 million books. She sold her first novel, Postmortem, while working as a computer analyst at the Office of the Chief Medical Examiner in Richmond, Virginia. Postmortem, was the first bona fide forensic thriller. It paved the way for an explosion of entertainment featuring in all things forensic across film, television and literature. The transition to literary superstar was not easy. At her first signing, held during a lunch break from the morgue, Patricia sold no copies of Postmortem and fielded exactly one question – an elderly woman asked her where she could find the cookbooks. Patricia’s literary career expands outside the realm of the Kay Scarpetta series – she’s authored a definitive account of Jack the Ripper’s identity (Portrait of a Killer: Jack the Ripper–Case Closed ), two cookbooks (Food To Die For: Secrets From Kay Scarpetta’s Kitchen and Scarpetta’s Winter Table ), a children’s book (Life’s Little Fable ), and a biography of Ruth Graham (Ruth, A Portrait: The story of Ruth Bell Graham ). She’s also developed two other series based on Win Garano, an upstart Boston detective, and Andy Brazil, an enterprising Charlotte reporter. Though Cornwell now lives in Boston, she was born in Miami and grew up in Montreat, North Carolina. After earning her degree in English from Davidson College in 1979, she began working at the Charlotte Observer, taking whatever stories came her way and rapidly advancing from listing television programs to covering the police beat. Cornwell received widespread attention and praise for her series of articles on prostitution and crime in downtown Charlotte. From the Charlotte Observer, Cornwell moved to a job with the Office of the Chief Medical Examiner of Virginia – a post she would later bestow upon the fictional Kay Scarpetta. It was during these years that Patricia penned Postmortem and began submitting it to major publishing houses in New York, without initial success.